The PA Department of Agriculture is launching a statewide campaign to increase awareness of the Spotted Lanternfly. 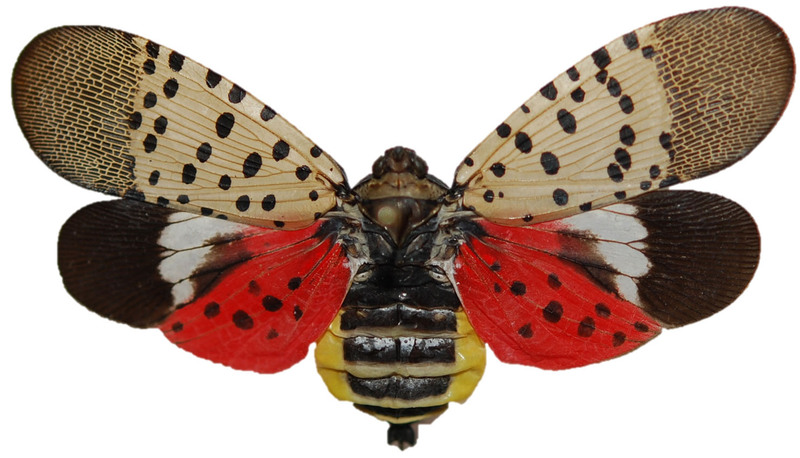 The Spotted Lanternfly is currently only found in Southeastern PA, and we’re hoping to keep it that way! It is a major threat to some of our most valuable commodities, including: hardwoods, grapes, hops, stone fruits, apples, etc. Early detection is vital to control this invasive pest and protect Pennsylvania’s agriculture and natural resources-related businesses. Have you seen this bad bug? We need your help to stop the #SpottedLanternfly from spreading. It’s currently found only in southeastern Pennsylvania, but it’s an excellent traveler! It’s a major threat to our state’s $12 billion hardwoods industry. If you see it, report it! Visit www.agriculture.pa.gov/spottedlanternflyalert for information on what to look for and how to report your sightings.